Pazhamudir cholai or Pazhamudir Solai - which was earlier known as Solai malai, is a holy place near Madurai, in Tamilnadu - South India. 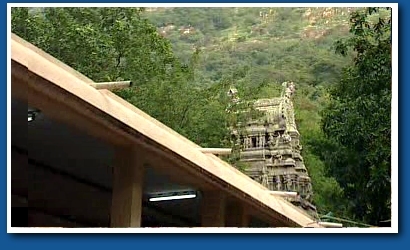 It houses one of the most sacred temples of Lord Muruga - also known as Arumugan, Karthikeya, Skanda and Kumara - and is the sixth Aarupadai Veedu . Saint poet Nakkerar, in his songs in praise of Lord Senthil Andavar, places Pazhamudircholai in the sixth place amongst the six battle places ( Arupadaiveedu ) that Lord Muruga has fought to win over evil.